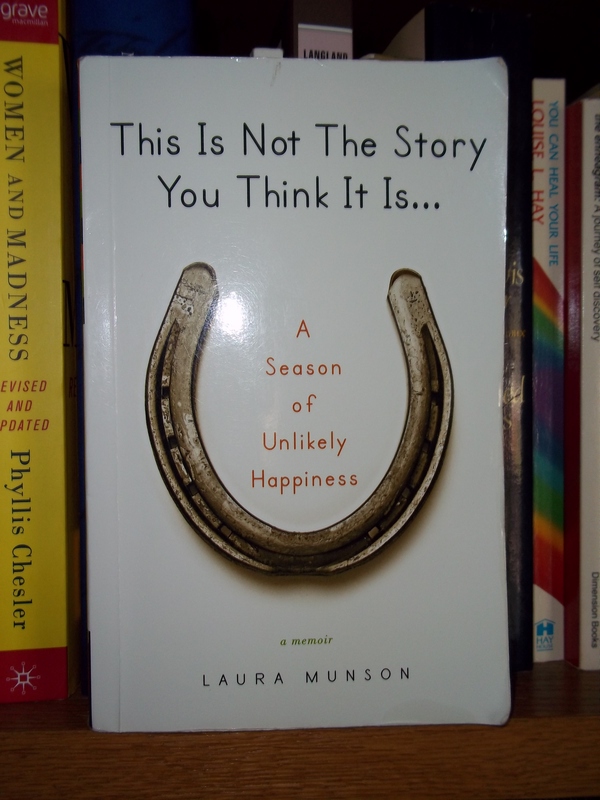 “I write to shine a light on an otherwise dim or even pitch black corner, to provide relief for myself and others.” – the author statement of memoirist, Laura Munson, taped above the desk in the Montana farmhouse in the glacial valley she shares with her husband and two children. For twenty years, she had honed her craft, produced fourteen unpublished novels, despite efforts to seek the notice of publishers. Such practice, however, inadvertently prepared her to compose her successful memoir, This Is Not The Story You Think It Is – a Season of Unlikely Happiness, published by G. P. Putnam’s Sons in 2010. Stung by an unforeseen marital crisis, Laura reaches for her journal and over a five-month period, traces its escalation with humor, honesty, and simplicity. At the outset, she engages her future readers, calling them “gentle friends.” Skillful weaving of backstory textures the rich story line, set within a wealthy Chicago suburb, a Boston walk-up apartment, a Seattle first-house, and a Montana farmhouse. Graced by grandmothers practiced in creating beauty in their homes, Laura does similarly in her vegetable and flower gardens, in her response to her children’s needs and her mate’s identity crisis as husband, as provider, triggered by a failed business venture. She survives this crisis, peppered by her “evil twin sister Sheila,” – referring to her nasty inner critic – all the stronger as wife and mother and writer. Her memoir’s listing on the New York Times Best Sellers List, appearances on Oprah and the Today Show attest to the success of her author’s statement. I highly recommend Laura Munson’s skillfully crafted memoir, a heart-stirrer. Well Liz – you surely got my attention !!! I’ll have to get on the waiting list for this one. Thanks, Ginny. Book club kept me away from last night’s meeting. We reviewed Erica Bauermeister’s novel, The School of Essential Ingredients – a woman’s read you also might enjoy! Next Thursday’s meeting is on my calendar. « Where is the Enemy?